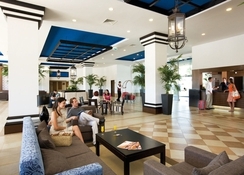 ClubHotel Riu Guarana is an all inclusive hotel, located in the beautiful region of Algarve in southern Portugal. The stunning sandy beach of Praia da Falésia is a 15-minute walk from the hotel, and a popular spot for a relaxing afternoon on the sand. The hotel offers two large outdoor swimming pools, indoor pool, kids' pool, spa and sauna facilities, massage treatments, sports activities such as tennis and volleyball, and entertainment shows in the evening. The 500 guestrooms are spacious, cheerful and feature amenities such as mini-fridge, air conditioning, satellite TV and a balcony or terrace. A variety of quality cuisine is served here, along with many bars throughout the hotel serving refreshing drinks and snacks. The hotel has been awarded a Gold Certificate for the Travelife Sustainability System. 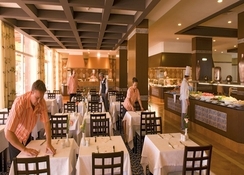 The staff are friendly and helpful, guests are well-catered at the restaurants. Free Wi-Fi is available throughout the hotel. The hotel is situated in the Portuguese resort of Olhos D’Agua in Albufeira, in the southern region of Algarve. The beach of Praia da Falésia can be reached in 15 minutes from the hotel. The Faro Airport (Algarve) is at about a 34-minute drive away. There are 500 spacious rooms distributed across two buildings. All rooms are air-conditioned and loaded with every essential room amenity. The rooms are categorised as Standard Double rooms and Junior Suites. The Standard Double rooms have two twin beds and Junior Suites have one double bed or two twin beds plus one sofa bed in the living room. All rooms in the hotel have a balcony or terrace giving beautiful views of the sea. Room facilities include mini-fridge, safe, satellite TV, free Wi-Fi, hairdryer and heating facility. 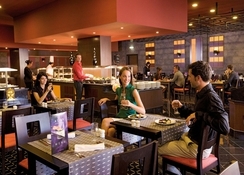 The main restaurant of the Club Hotel Riu Guarana serves delicious meals buffet style at breakfast, lunch and dinner. The hotel also has themed restaurants that offer all kinds of continental and Asian dishes. Guests can also enjoy the cooking show at the themed restaurant Yasumi, for an evening with a difference. These restaurants also serve up tasty snacks, appetizers and beverages at the pool bar, the swim-up bar and at the lounge bar. 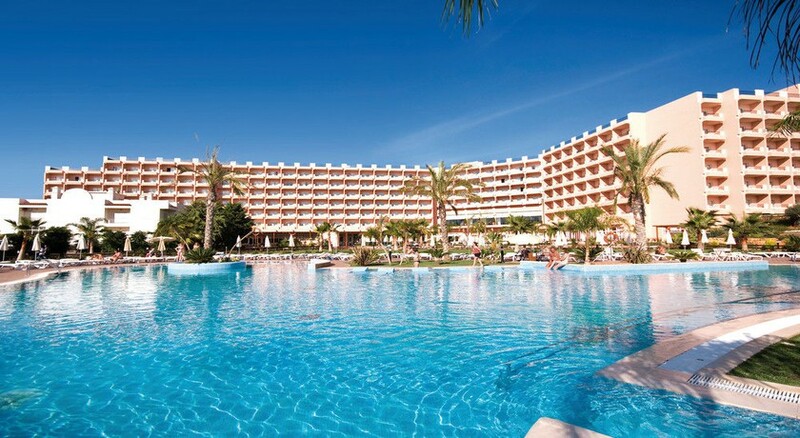 ClubHotel Riu Guarana has two large outdoor swimming pools, a separate children’s pool and an indoor pool. There is also a hydro-massage facility made available for the guests at the hotel. Spa and Wellness services include Sauna, steam bath, whirlpool bath, and other treatments. A wide variety of massage therapies are provided such as full body massage, relaxation massage, Ayurvedic massage, Thai massage, Shiatsu massage, chocolate massage and hot stone massage. Beauty treatments include facial treatment, eye care, manicure, pedicure, hair removal and many more. The local gym facility at the hotel is the best place for a little muscle strengthening and stretching. Sports facilities include tennis courts and volley near the beach. For children, the hotel offers RiuLand Kids Club for having all the fun they want. Various entertainment programs are held at the hotel, including live shows and live music.